After 10 years of negotiations, U.S. cherries can now be exported to Western Australia, making cherries the first U.S. fresh fruit to gain access to that market. 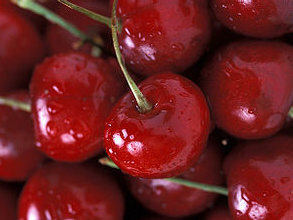 U.S. cherries from California have been common in the eastern states of Australia since the late 1990s as the states of Washington and Oregon have been permitted to export to the eastern Australian states since 2001. Since that time, negotiations have been ongoing between Biosecurity Australia and U.S. Department of Agriculture (USDA) to gain access for U.S. cherries to Western Australia, which maintains its own state regulations. A final push by importers in Western Australia resulted in the first cherry import into that Australian State last month. Washington State Fruit Commission/Northwest Cherry Growers used USDA Market Access Program funds to showcase the products as they arrived in Perth, the capital of Western Australia. According to the USDA, the Australian market is a rapidly growing market for U.S. cherries. A spokesperson for the USDA explained, “In 2009, a record 2,334 metric tons of cherries valued at US$15.6 million were shipped to the Australian market, compared with US$1.4 million in 1999 when the market first opened. The spokesperson added, “U.S. cherries are sold in Australia at a competitive price close to that of Australian product, as the Australian dollar has strengthened considerably in the last two years, making North American imports more affordable. Since U.S. cherries are counter-seasonal to the Australian crop, the products do not compete directly in the marketplace and fill a popular niche for Australian consumers in the Australian winter months. According to the U.S. Department of Agriculture, the market opening now positions Australia as the seventh most valuable export market for U.S. cherries. If the Australian cherry industry has no qualms selling fruits that have been dipped in chlorine followed by two different fungicides (one banned in Europe), what are we getting on US cherries? I think I’ll pass on these thanks. I once thought that just washing fruits would at least reduce any residual chemicals and make them safer to eat. However, I was recently told by a supplier of these synthetics, that the idea of the chemical antimicrobials was that they are persistent in order that their action was prolonged. Washing wouldn’t get rid of much. OK. So this is a problem. But since cherries don’t last much longer than a few days once you get them home, the current processing is unhealthy and not overly successful. I guess at least the fruits do get sold so profits are made, irrespective of public safety. I should disclose my association with this industry. I presented a large cherry grower to my natural antimicrobial, Herbal-Active, a blend of extracts from ordinary culinary herbs and spices. Rinsing store-bought cherries in a 1% solution of Herbal-Active extended the shelf life of cherries for over 14 days. So I got an insight into the cherry industry here in Australia and also learned that as they get enough shelf life to still sell their unhealthy fruit, they have no impetus to change.